You can even fit another mattress under the bed for sleepovers or just use it as a nice play area. The Midsleeper is a sturdy safe bed frame mainly produced in solid pine with the new rounded feature headboards in MDF. Attractive design with deep ladder with ergonomically designed treads making it easier for your child to climb up and down. 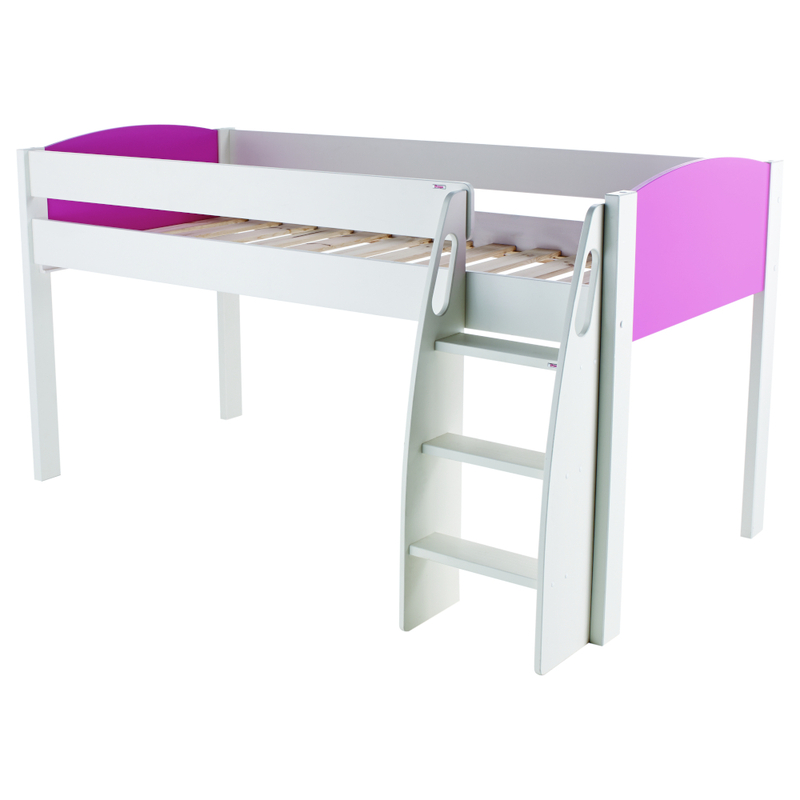 Includes Uno S Midsleeper Bed Frame. Size of Mid Sleeper Bed H1129xW1212xL2082mm.